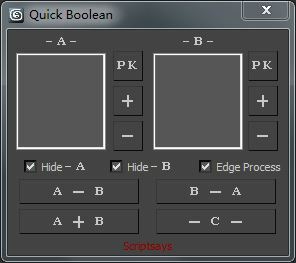 1.Quick Boolean,Boolean avoid appearing broken surface. 2.This plug-in operation is very direct, very convenient. Boolean sometimes do floor line of the object, or finishing line, only when the referencemode of operation. I think other website owners should take this site as an model, very clean and great user pleasant style.